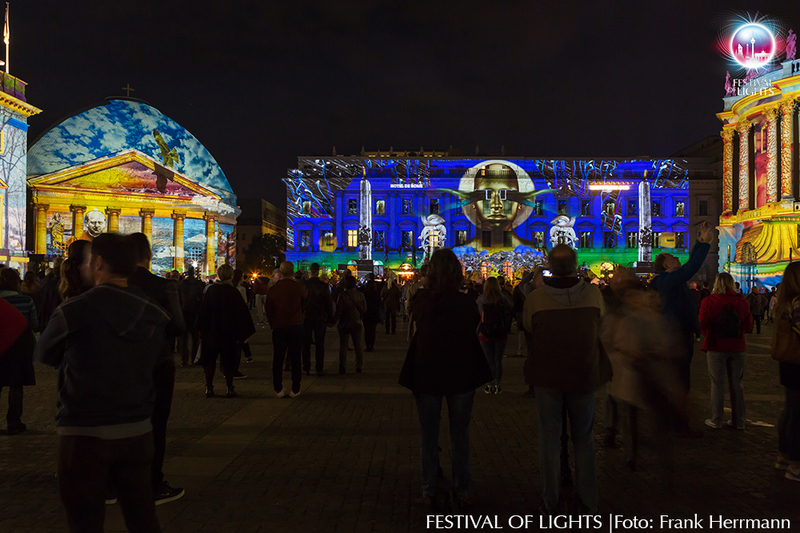 The historic buildings of the State Opera, Law School, Humboldt University, St. Hedwig’s Cathedral and the Hotel de Rome have always been a great subject for photographers at the Festival of Lights. 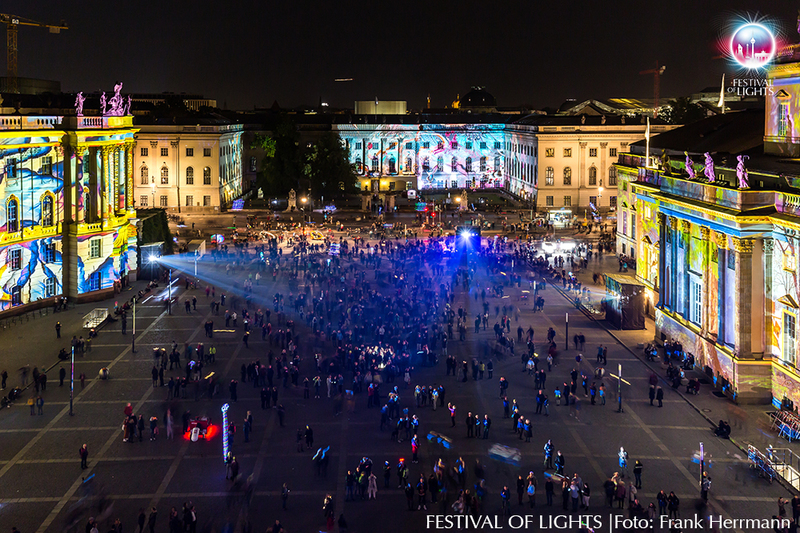 In 2018 the festival director Birgit Zander created a 360 degrees staging of the Bebelplatz. 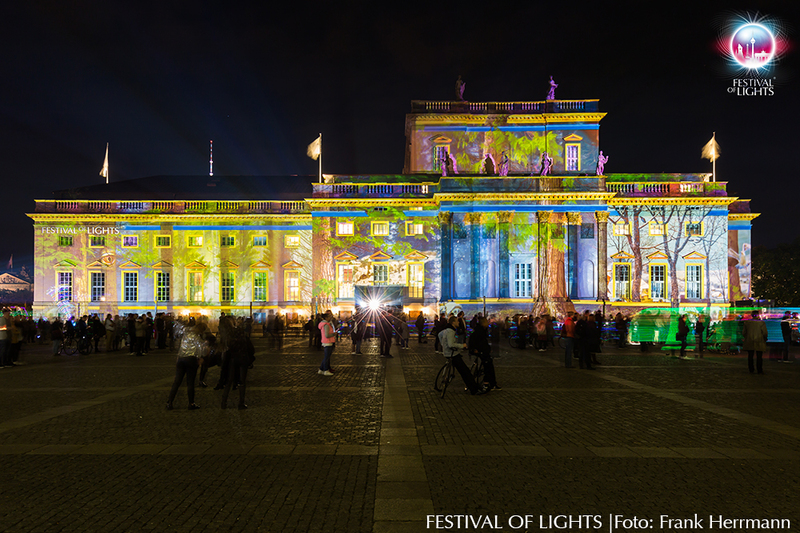 This Festival of Lights brings the Berliners and their guests a special video experience. 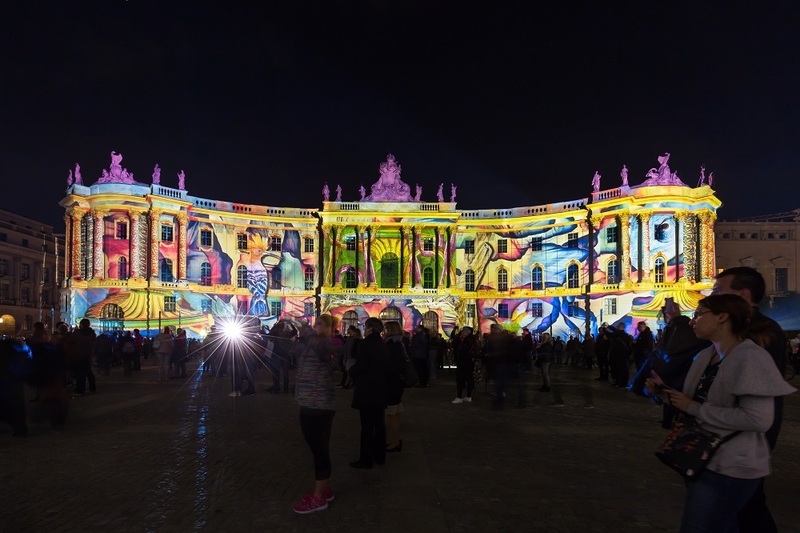 The motto for the mapping at the Hotel de Rome this year was “The Freedom of Art – Between Dream and Reality”. The visions were provided by two renowned video artists, the British Ross Ashton, whose artful light and sound installations have already been seen around the world, and the Polish artist Pani Pawlosky. More info. 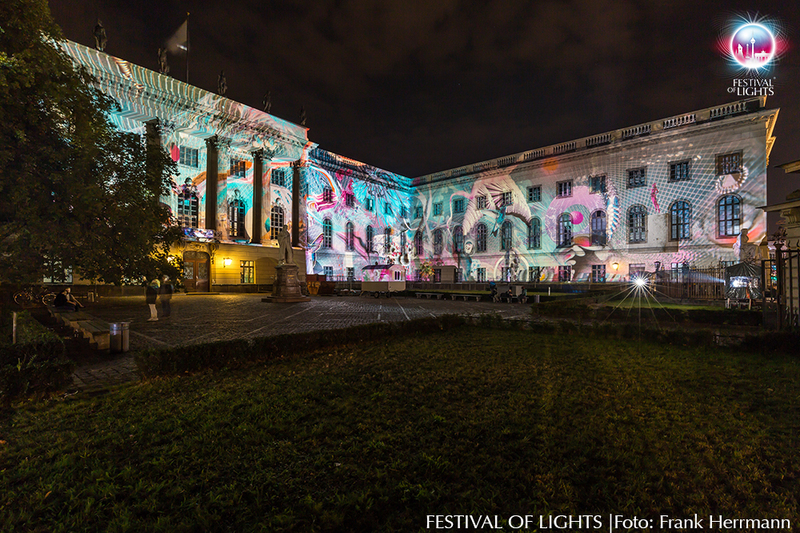 The beautiful art work at Humboldt University were made by Archan Nair. The motifs for the State Opera and Faculty of Law were by Daniel Margraf.